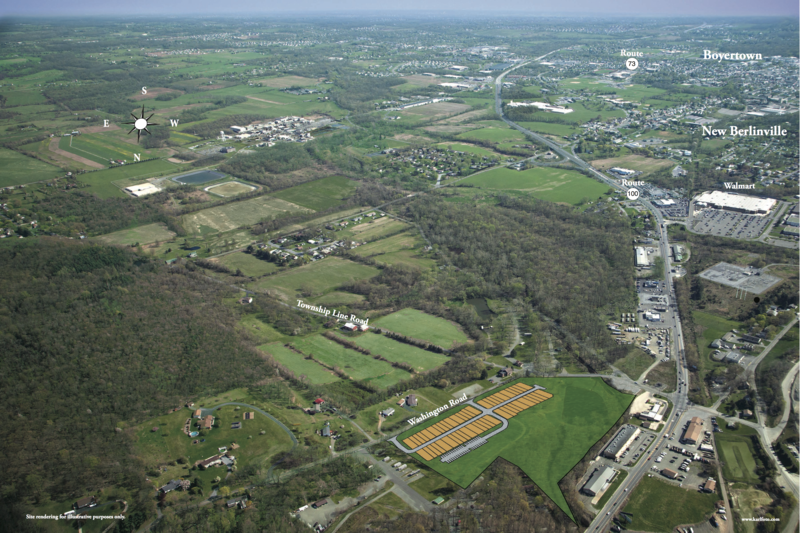 This property consists of 14.17 acres located at the northwest corner of Township Line and Washington Roads in Colebrookdale Township, Berks County, PA. It is approved for 50 townhomes and is convenient to Route 100, a regional commuting and shopping corridor including a nearby Wal-Mart super center and close proximity to a township park. Other nearby uses include Ironstone Corporate Center and the Gilbertsville Golf Course.